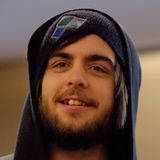 Sago is an American Smasher from Chicago, Illinois who mains Marth in Melee and Luigi in Project M. Sago is most notable for his appearance in The Smash Brothers Documentary and for defeating Swedish Delight with his Luigi at Eden. He is currently ranked 4th on the Chicago Melee Power Rankings. This page was last edited on January 31, 2019, at 20:01.